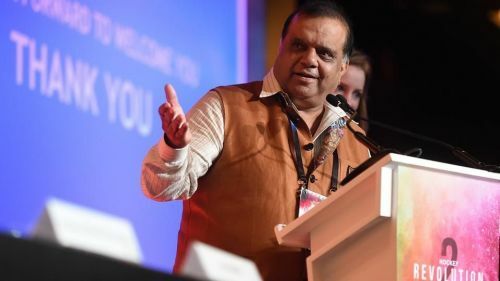 Indian Olympic Association (IOA) president, Narinder Batra quashed calls (largely from the Indian shooting community) for the country to boycott 2022 Commonwealth Games. However, Batra did give assurance to the National Rifles Association of India that the IOA will take the matter up with the Commonwealth Games Federation (CGF). As shooting is an ‘optional sport’ in the Commonwealth Games, the Host City has the option to either include or remove it from that particular edition of the event. For the upcoming version, it has been decided that shooting would not be a part of the 2022 Birmingham Games. This would essentially mean that India will miss out on a number of medals, as shooting is a sport where India is known to be quite prolific. National Rifles Association of India (NRAI) has brought up the issue about shooting being struck off from the games list at 2022 Birmingham. Some of the members have even gone on to suggest that India as a whole, should boycott the games if the decision to exclude shooting is upheld. However, Batra hit back at NRAI chief, who had also called for a boycott of the Games, saying, “Sitting on this chair (IOA president) and sitting on that chair (NRAI president), there’s a lot of difference between the two. “Mr. Raninder Singh is free to make statements. But there are athletes, there are government, there are so many things related to this,” he said. Batra was not completely ignorant of the plight of everybody associated with the sport, though, and assured that the issue will be taken up with the CGF. While there are grey clouds still hovering over shooting, it is now certain that India would still be participating in the Birmingham Commonwealth Games. What remains to be seen is that whether or not India can perform as exceptionally as it did in the 2018 event without the shooters. As it has now become final that shooting would not be a part of the 2022 Games, it would be best to focus our attention on grooming other sports while simultaneously still making pleas to get the sport included to the official list.